A 19 year old born on May 12, 1992, in Fukushima City Fukushima Prefecture. 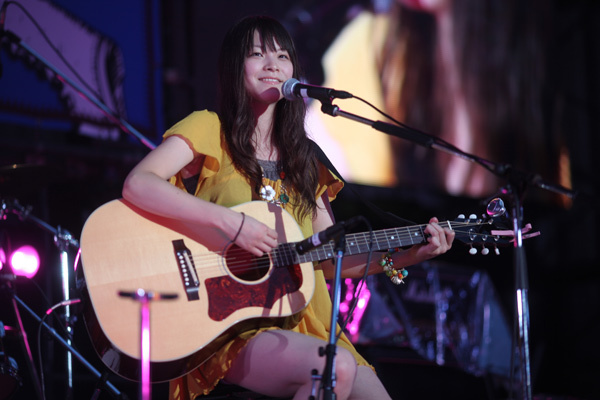 A singer-songwriter who performs around Fukushima/Sendai area. Won the “Shinsain Tokubetsu Sho” at the summer festival “Senkou Riot 2011”, a festival limited to teenagers. Was the first series of artists to debut from 〈Play You.〉, a project of Sony Walkman. Takahiro Yamada, the bassist for ASIAN KUNG-FU GENERATION, is her producer.